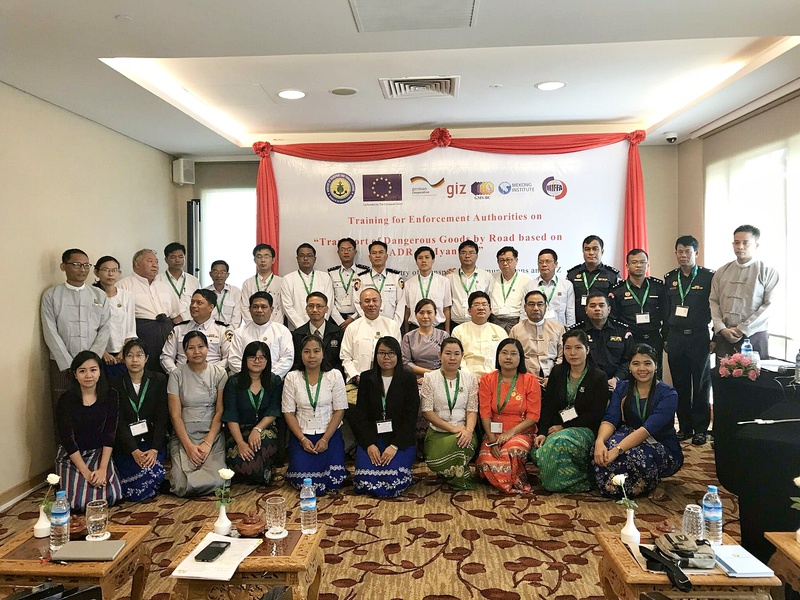 In order to increase the capacity of relevant government agencies to control, supervise and enforce laws/regulations, the project therefore organised training for enforcer authorities to provide a thorough understanding of Safe Dangerous Goods Transport in Myanmar. 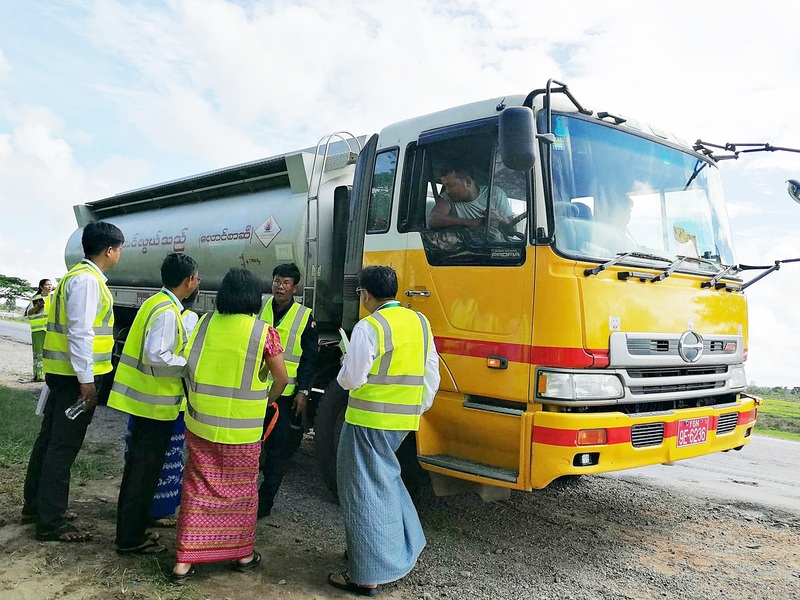 The training consisted of both theoretical and practical parts and included inspection of document on-board, placarding and vehicle marking as well as equipment on-board. At the end of the training, the participants had gained knowledge and experience of how to implement and enforce these six notifications. For example, a traffic policeman, whose duty it is to inspect trucks on the road, knew what to check and how to check. 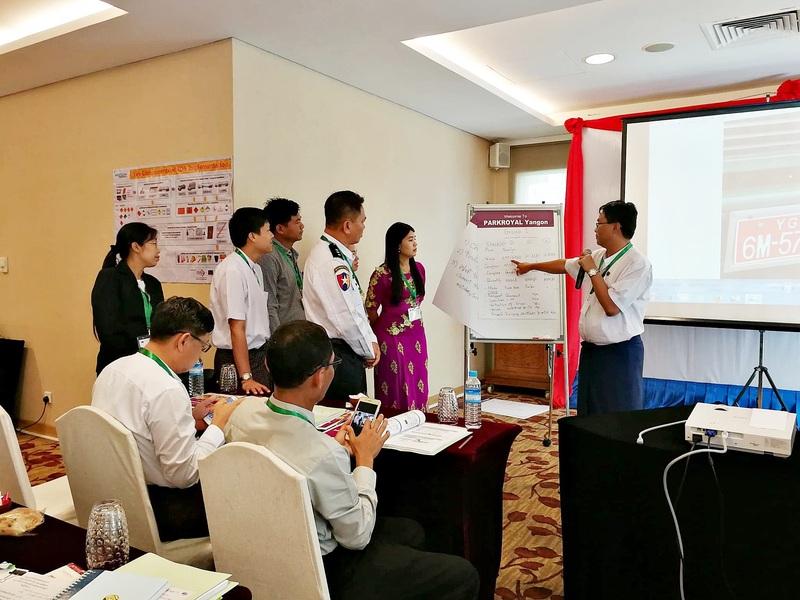 The training was conducted between 4 and 6 June, 2018 at the Park Royal Hotel Yangon and attended by 22 participants from concerned departments, namely the Road Transport Administration Department, the Directorate of Industrial Collaboration, Myanmar Petrochemical Enterprise, the Environmental Conservation Department and the Traffic Police. 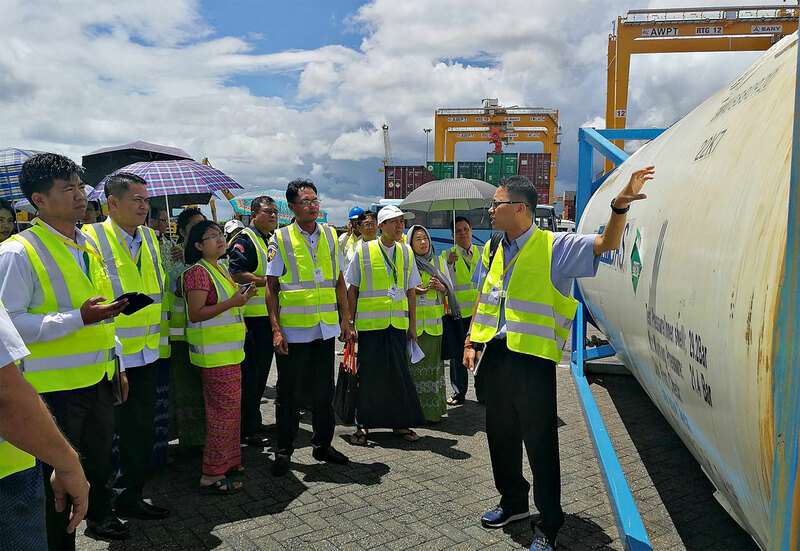 Myanmar has become a party to regional agreements involving the transport of dangerous goods, namely the ASEAN Framework Agreement on the Facilitation of Goods in Transit, the ASEAN Framework Agreement on the Facilitation of Inter-State Transport and the GMS Cross-Border Transport Agreement (CBTA Annex 1). 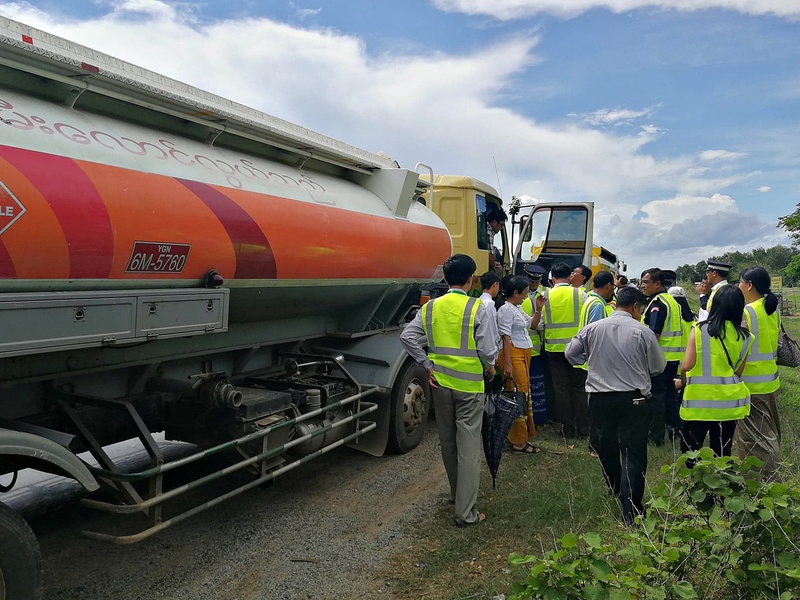 These agreements have been developed in accordance with the European Agreement Concerning the International Carriage of Dangerous Goods by Road (ADR). This supports the facilitation of trade and transport within and between countries and will eventually improve regional economic growth.